Health insurance 101: Costs are rising. What should consumers do? First in a series of blog posts to help you better understand health insurance and how recent changes affect you. Let’s face it: Health insurance can be a dry and complicated business. And it’s not easy deciphering the various concepts, jargon, and not-exactly-household words that define the business of insuring your health. But your health insurance is important. And with health care reform, ever-rising costs for care and other trends that are transforming the industry, it’s a good idea to keep yourself abreast of what the changes mean to you. That’s why we’ve put together this guide to help you understand what’s happening in health insurance, why it’s happening and what it means for you. Yesterday at the White House, many of the values that guide BCBSM’s approach to insuring people’s health were on display once again as President Obama brought insurance industry leaders together to mark the 91st day of the Patient Protection and Affordable Care Act, otherwise known as health care reform. President Obama spoke about the progress that’s been made in the three months since he signed the health care reform law. Businesses across the state are struggling to keep young talent in Michigan. Cuts, layoffs and restructuring are the norm, leaving young graduates desperate to find new and creative ways to break into the workforce. With a struggling economy, especially in the Detroit area, many are choosing to leave the state in an effort to find entry-level work. Blue Cross Blue Shield of Michigan and Wayne State University are taking the reins to end this “brain drain” phenomenon here in Michigan. 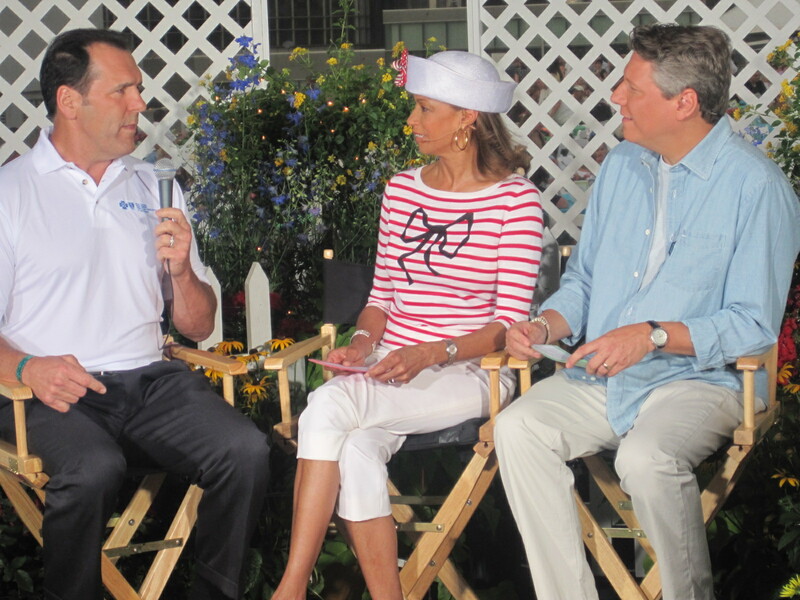 Millions of Americans suffer from Inflammatory Bowel Disease (IBD) – many of them right here in Michigan. IBD includes Crohn’s disease and a related disease, ulcerative colitis. Participants in the 2010 Take Steps Walk for Crohn’s & Colitis are walking together on the Detroit River Walk to build awareness – with the hope to one day find a cure for these painful and unpredictable digestive diseases. All Blues employees, family and friends are invited to participate in the second annual UAW-BCBSM/BCN Joint Programs Take Steps for Crohn’s and Colitis Walk to benefit the Crohn’s & Colitis Foundation of America. The event will be held Saturday, June 26, beginning at 5 p.m. Registration is open now and through the day of the event. Put your walking shoes on and join the fight against Crohn’s and colitis. Walkers will enjoy the beautiful Detroit RiverFront, while they work to build a healthier community. To learn more about Crohn’s and colitis, visit the Crohn’s & Colitis Foundation of America website. A recent study by the Centers for Disease Control and Prevention has shown that death rates of African American men have far exceeded those of their Caucasian counterparts. Taking into account the leading causes of mortality, African American death rates have sky-rocketed up to approximately 40 percent higher than that of Caucasians. To address this issue, sponsoring partners 100 Black Men of Greater Detroit, Inc. andBlue Cross Blue Shield of Michigan held a men’s health breakfast titled, “Man Up! : Championing the Health of African American Men to Create a Healthier Michigan,” on Monday, June 7, 2010 at Fellowship Chapel in Detroit. The program aimed to encourage African American men to take more initiative and ownership in their personal health and wellness. A healthier future is not just about health care legislation, but about people being involved in taking better care of their own health. Dan Loepp, President and CEO of Blue Cross Blue Shield of Michigan, emphasizes to National Management Association members that without personal responsibility, lives will continue to be lost and costs will increase. The Blues are leading the way to a healthier future by strengthening collaborations with health care providers, promoting patient safety and investing in partnerships that improve quality of care. We are reaching out to youth by supporting community and school programs that teach exercise and healthy eating. We are the leader in offering wellness-based heath care plans that help manage member costs by rewarding healthy behaviors. Being accountable for our own health contributes to a healthier Michigan. Four-year BCBSM intern, Yan Isayev serves as a prime example of what it means to “make every experience a learning one,” which is why he has been respectfully noted as Crain’s Detroit Business 2010 Intern of the Year. With Isayev being well into his fourth internship with the Blues, he has exceeded far beyond the company’s expectations, considering the fact that Blue Cross doesn’t have a formal rotational internship program. Isayev’s experience with Blue Cross has consisted of developing competitive analyses of product development, evaluating and improving internal websites and tools, and leading projects to improve recruitment and retention. Currently, his position at the Blues deals with supporting the vice president of the membership and claims processing systems, as well as providing analytical research to improve both internal and external processes. Isayev will be graduating this December from Wayne State University, earning a bachelor’s degree in honors finance. BCBSM is fully committed to building a healthier Michigan by providing educational opportunities to young people and retaining talent within the state. As companies are downsizing or finding ways to improve their bottom line, many Michiganders are now finding themselves without health insurance from their employer. It’s not an ideal situation, but in the midst of this tough economy, many individuals and their families are being forced to make changes in their daily lives – finding individual health insurance just happens to be one of them. Looking for individual health insurance is a task many have not had to face before. 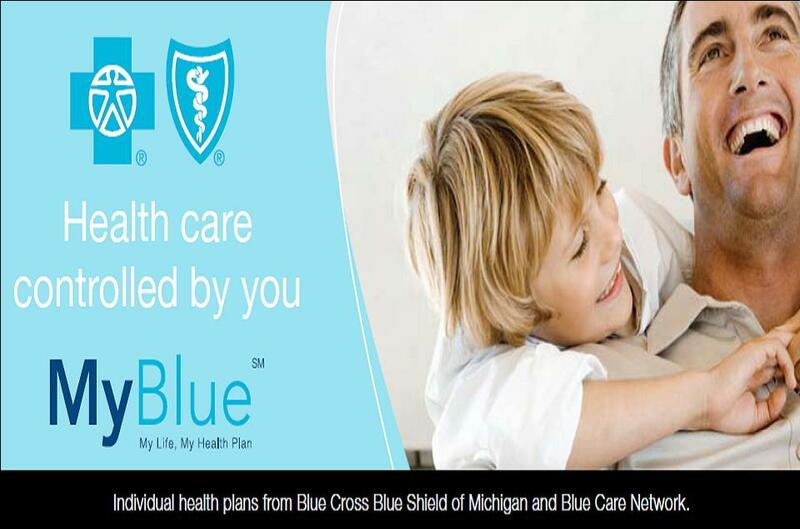 Blue Cross Blue Shield of Michigan knows how important it is to have options when it comes to health care coverage. How do you get the most health care coverage at the lowest cost? What plans will fit your needs? The Blues offers MyBlueSM, a suite of individual coverage options for Michigan residents, designed to protect your health and your finances at your specific stage of life. Not sure what MyBlue plan will fit your needs? Check out bcbsm.com/myblue and click on the AskBlue icon. AskBlue is an interactive program that helps make the complicated process of selecting an individual health plan easy to use and easy to enroll. Everyone should have access to health care coverage. As times change, the Blues are leading the way to help Michigan’s residents to a healthier future. Today, we announced meaningful, forward progress in the Michigan Blues’ Patient-Centered Medical Home program. In looking at initial pieces of data, we found that Patient-Centered Medical Home (PCMH) practices are changing the way they practice medicine to be more attuned to their patients’ ongoing needs. In fact, we found that patients in PCMH practices have lower hospital admissions, fewer ER visits and lower use of radiology services.